Given the latest increase to the police service length, which will see Officers instead of retiring at their 30 year point, will now be working until their 60. 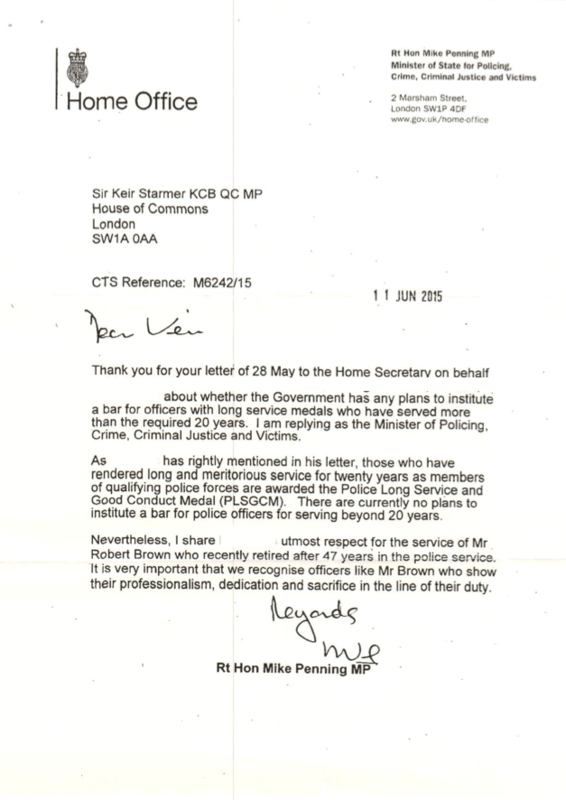 This could well see Officers serving over 40 years before they retire. 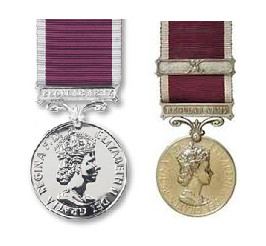 Double the amount of service required to qualify for their LSGC, perhaps consideration should be given to the possibility of adding a bar at the 40 year point, along the same lines as that of the military LSGC or indeed the Special Constabulary LSGC. 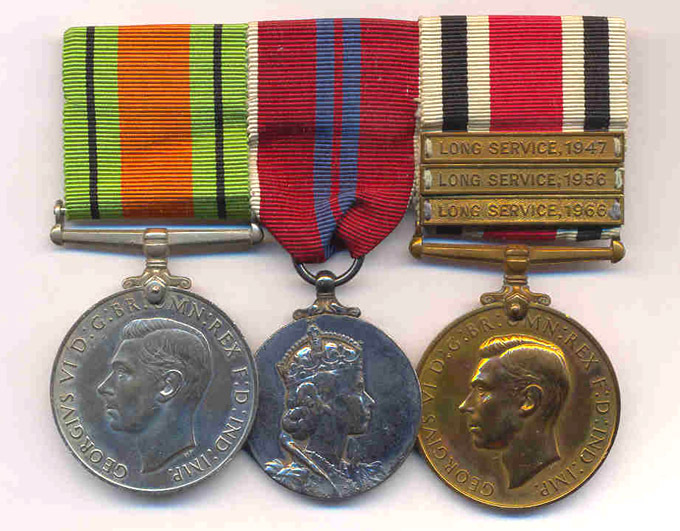 Special Constabulary Medal and bars. Very nice trio, I suspect he wore through many pairs of boots as Special. Perhaps this is a concept that will be considered at some point in the future, once it becomes more common for officers to achieve 40 years service. Especially when you consider that it took until 1951 before a regular Police LSGC was even considered in the first place!!! 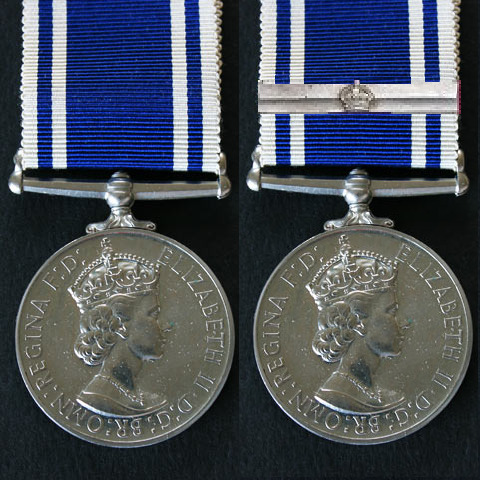 Going off topic slightly, but remaining on the same subject it I may, it appears that Officers who completed 20 years service but left the police before the qualification period was reduced from 22 years, aren't entitled to claim their medal retrospectively? There's one of the those Government petitions started by someone called John H Donaldson on the subject, it's only had a couple of signatures, but doesn't run out until September this year. I think this is a problem for many medal issues. 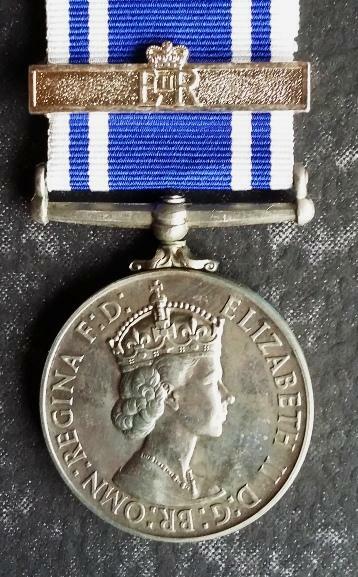 Any police officer who retired in May 1951 (a month before the Police LS was instituted) would not get a medal. Good luck to Mr Donaldson but I think he won't be successful with his petition. The thing is with all these issues if you open the flood gates just how far do you go back - to June 1951! I noted that on the Spec Constab LS the bars are mounted with the last bar nearest the suspender - I have to admit I have never seen them that way around before (technically they are upside down as normally the first bar earned is fitted nearest the suspender). How gutted would you be if you retired in May 1951!!! I still find it intriguing that it wasn't until 1951 that the concept of a Police LSGC was implemented!! I agree that Mr Donaldson will be disappointed, the very number of signatures on his petition speaks volumes. What are peoples views on a bar/clasp concept for the Police LSGC, is it a viable option? Maybe not now, but at some point in the future when if becomes a more regular occurrence? Knew I couldn't have been the only person to have thought of this concept. Delighted to see that you've already written a letter. Perhaps we should set up a Government Petition? Don't mean to be a sceptic, I like the idea of the bar/clasp, but I don't think a government petition is the way forward. You need 100,000 signatures, before they'll even entertain the concept and 10,000 before they'll send you a letter like Metpolice's saying they won't entertain the idea, HOWEVER, I'm happy to give it a try on behalf of the forum, the only thing I ask is for at least 10 people on here to agree to support the idea, Metpolice is one so another 9 required. I think with the new conditions of service and graduate entries coming into Supt rank etc the chances of anyone completing even 20 years of service will be hard enough let alone 40! So that's a no from Craig then. Tongue in cheek as it might be, I think you might be right, as time goes by policing will become just something people do for a few years, just to put onto their CV's .